I'm very happy to announce that this November "E-Waste" will be traveling to a third U.S. venue: Boston Cyberarts Gallery. 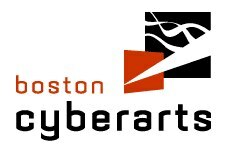 Boston Cyberarts was one of the first art and technology organizations in North America and I'm honored to present my work in their Jamaica Plain gallery. Located in the Green Street T Station on the Orange Line. For object-oriented feminism, "after biopolitics" suggests the necropolitical ability of all objects to be instrumentalized, regardless of whether they are human or nonhuman, dead or alive. Object-oriented feminism connects Graham Harman's invocation of tools and broken tools to biopolitical histories of use, exploitation, and resistance. Just as biopower asserts a racial division, what Achille Mbembe calls "a split between the living and the dead," necropower translates the sovereign right to distinguish those who live and those who die differently. Mbembe, writing on slavery, could be describing the brokenness of the tool when he writes, "As an instrument of labor, the slave has a price. As a property, he or she has a value. His or her labor is needed and used. The slave is therefore kept alive but in a state of injury..." He continues, "Slave life, in many ways, is a form of death-in-life." This panel addresses this "death-in-life" from an object-oriented feminist perspective that extends camaraderie and familiarity to the object world, and mobilizes politically around all objects' dual capacity for self-possessed integrity and mutual permeability. Placing objects on equal ontological footing, object-oriented feminism diminishes distinctions such as organic or inorganic and living or non-living as hierarchical categories of being, and recognizes diverse formations of power as well as power's formative impact in producing difference. 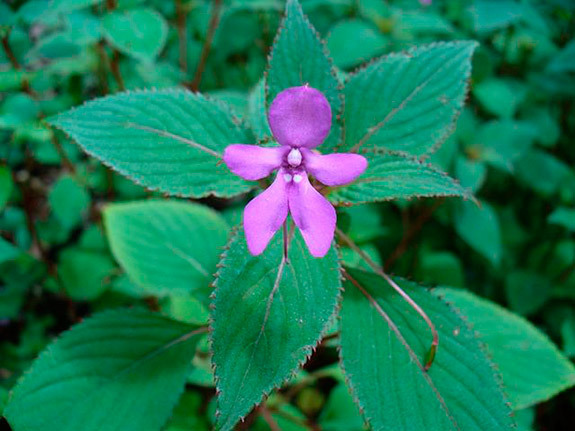 "Impatient Flowers" is a two-person evening of performance dealing with the nonhuman temporality of plants, curated by Matthew Goulish and Lin Hixson, with works by Joshua Kent and myself. I'm very pleased to have this chance to return to Chicago, to reconnect with my wonderful mentors, Matthew and Lin, to share an evening with Josh, and to share this performance opportunity with Roombas. I will be presenting High Hopes (Deux), a new version of my project High Hopes, in which dancing Roombas bearing rubber trees vacuum to a Frank Sinatra song. I'm thrilled to present a new lecture, "UNDERHANDED: DIGITAL DIGITS, MANUAL MANIPULATION, AND NONHUMAN ART" at Georgia Tech as part of the GVU Brown Bag Speaker Series. 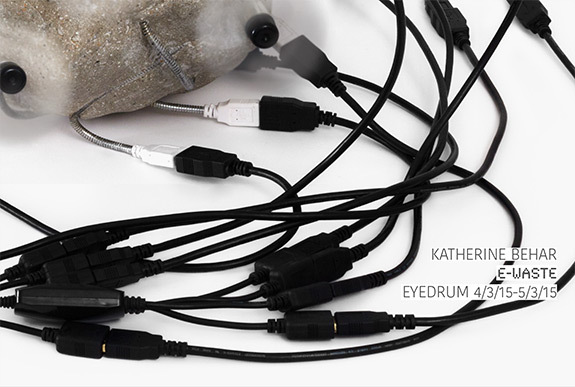 "Underhanded: Digital Digits, Manual Manipulation, and Nonhuman Art"
I'm excited to announce that next spring my solo exhibition "E-Waste" will travel to Eyedrum Art and Music Gallery in Atlanta. "E-Waste" will be on view at Eyedrum April 3-May 3, 2015, following its premiere at the University of Kentucky's Tuska Center for Contemporary Art November 6-28, 2014. "E-Waste" is co-produced by the College of Arts & Sciences and the College of Fine Arts in collaboration with CELT (Center for the Enhancement of Learning & Teaching) at the University of Kentucky, and is supported in part by a PSC-CUNY Award, jointly funded by The Professional Staff Congress and The City University of New York. Disorientalism is pleased to present a solo exhibition, Maiden Voyage, the third chapter of our series "The Food Groups" at ASU's ArtSpace West. 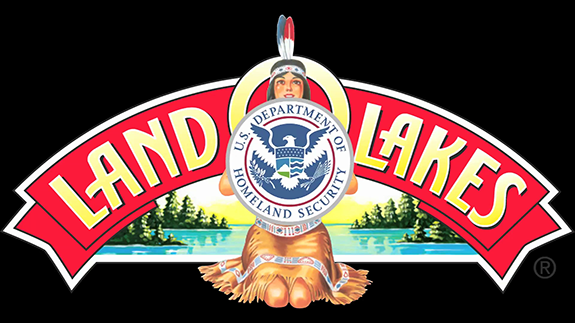 In "Maiden Voyage" the Disorientals track down the Land O' Lakes Indian Maiden, who has been reborn as an empowered executive. Inspired by the Shadow Wolves, an all-Native border control unit of the U.S. Department of Homeland Security, they work as migrant day laborers to spy on her. They use low tech and high tech methods including a "Smoke Signals" smartphone app to track her. Unfortunately, like Christopher Columbus, their voyage goes awry: they lose the signal, get lost, and end up with the wrong kind of "Indian." Eventually, the Shadow Wolves become Land O' Lakes employees who organize a union and go on strike. 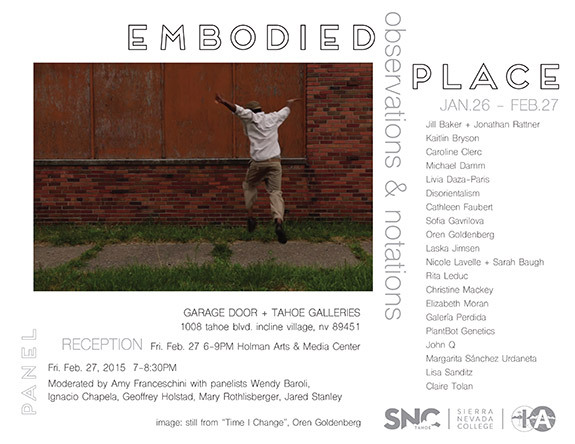 Disorientalism is excited that our video, iSpy, is included in Embodied Place: Observations & Notations, a group exhibition curated by Amy Franceschini and Russell Dudley, at the Garage Door + Tahoe Galleries at Sierra Nevada College. We will be in town for the closing reception and panel discussion on Friday, February 27, so please stop by if you are in the area, or join us on the panel on livestream! I'm honored to have been invited to organize a panel at the Museum of Arts and Design for The Feminist Art Project Day of Panels during the 2015 College Art Association conference. This year the TFAP theme is on "Collaboration and Collectives" and I have invited Stephanie Rothenberg & Jeff Crouse, Larisa Mann, Sydette Harry, and Liz Flyntz to join me in a discussion probing uneven power distribution in collaborative production under contemporary capitalism. Addressing forms of collectivity not only among individuals, but also modalities of "collaboration" or "working together" with institutions and systems, we will ask, "How can people collaborate toward justice, in undemocratic conditions, with powerful institutions, when systemic and personal interests are not aligned?" TFAP panels are free and open to the public. Disorientalism is excited to participate in Wonder Women, a group exhibition at the Katherine E. Nash Gallery at the University of Minnesota in Minneapolis. Curated by Howard Oransky, Wonder Women presents work by women artists inspired or influenced by comics, animation or popular culture, and related screenings of work by women filmmakers presented by the Film Society of Minneapolis St. Paul.